If you just got a Kindle Paperwhite or Amazon Fire Tablet for Christmas, you'll want to protect it, and so today is a good day. That's because Amazon is currently running a New Year sale where UK buyers can get a tasty 25% off selected Amazon device accessories – and that includes lots of covers for your Kindle Paperwhite and cases for your Fire Tablet. Also included in sale are cables and power supplies for a whole host of Amazon devices. 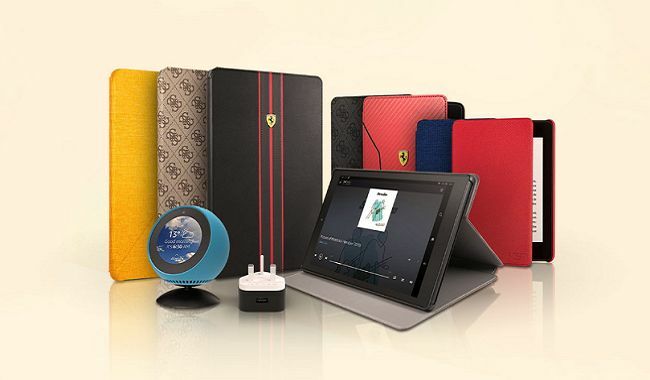 As well as Amazon's own cases, there are cases from Guess, Ferrari and others so you can choose a look for your individual style. To grab your 25% discount, simply head over to the Amazon page below, and once you've placed your order, apply the voucher code NEWYEAR25 at the checkout. Do note that your promo code will only apply to the products listed on the page linked below. Shop for discounted Amazon device accessories here. Hurry – this offer is only valid until January 31st, 2019.